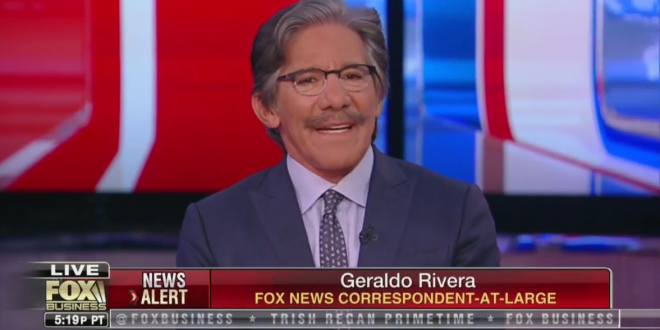 Geraldo Takes Back "Hoax" Claim: I Outsmarted Myself - Joe.My.God. This afternoon he took to Twitter to admit he was wrong in “conjuring false flag operation” when it the suspect appears to be a crazy person who happens to be a Trump supporter. Never mind; outsmarted myself in conjuring false flag operation designed to hurt @realDonaldTrump & #GOP. Actual alleged perp 56-year old #CesarSayoc is apparently stereotype most media assumed: a middle-aged, rabid, extreme right winger w a troubled past & long criminal record.